Disney World is in the middle of an area that is known for it’s plentiful mosquitoes. However most people notice that they rarely get bitten when they’re at Disney. Are you heading to Disney World, but wondering about mosquitoes, and viruses such as Zika? That’s a reasonable concern and even Disney has taken notice and taken action. At Walt Disney World they’re now offering guests free insect repellent. What’s does this mean? 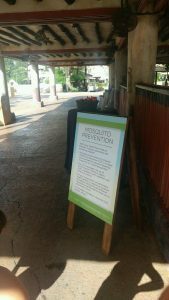 Are Zika and other mosquito borne illnesses really a concern for those visiting Disney World? First let’s talk about what Disney is Doing about Mosquitoes. Then below we’ll talk about Zika specifically. Along with strong preemptive procedures already in place to limit mosquitoes on property (e.g. insecticides, bat houses, eliminating standing water), Walt Disney World has taken further steps to protect its guests and cast members. On last check, Disney has been fogging all of their common areas nightly with a chemical called Scourge made by Bayer Environmental Services. We were told that they tend to do this around 4 am to 5 am in the morning. They use a truck and the Disney representative we spoke with said that this is a very fast dissipating chemical. It breaks down quickly. They’ve been using this chemical for many years. 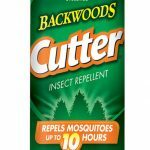 Upon request, Disney resort guests can get Cutter Backwoods Insect Repellent . Various information stations are now in each of the parks, providing both repellent sprays and Bug X 30 with DEET towelettes. To the left is a sign that was in Animal Kingdom in front of an information station. Click on the image to see it full size. You can see that there are bottles of bug repellent on the table. 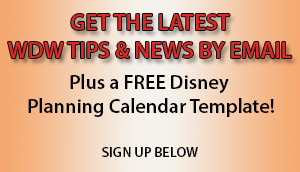 In addition, the Walt Disney World’s website’s Frequently Asked Questions section now provides information on Zika prevention and protection, citing the Center for Disease Control and Prevention (CDC), and linking to the Florida Department of Health for updates. See below for those steps. According to Orange County Mayor Teresa Jacobs, “If you’re coming to Florida as a tourist, if you’re coming to the theme parks, then you’re coming to some of the safest places in the world because they have mosquito control down like no place else.” And according to Washingtonpost.com, officials say that parks have far bigger mosquito control operations than local governments. So should you go to Disney World? First let’s talk about the cases of Zika found in Florida that were transmitted locally. On September 19, 2016 the CDC lifted Official travel guidelines for Miami, Florida. Zika is thought to be transmitted by mosquitoes. Many of the cases of Zika that were reported in Florida were contracted outside the USA. On the CDC’s website (Center for Disease Control), they reporting cases of locally caught Zika in Miami, in the Wynwood and Miami Beach areas in July of 2016. Wynwood is approximately 228 miles from Disney World, which is quite a distance. The Center for Disease Control had issued advice for travelers to Miami and South Florida, cautioning pregnant women or couples considering pregnancy against traveling to that area. That advisory is no longer being issued because the chance of getting Zika is low. However they still recommend that pregnant women take precautions. What about Zika in Orlando? Currently Florida is not under a warning for risk, though the CDC still suggests taking precautions because Zika was found in the state previously. While all of the reported cases of the Zika virus in Orlando appear to be the result of travel to infected areas, there appeared to be a case caught in the Tampa or Pinellas County area. According to Tampabay.com, a Firefighter working in Tampa and living in Pinellas County is the first case of reported Zika thought to have been locally contracted in Central Florida. Tampa is approximately 66 miles from Disney World, and this has caused concern for some. The Miami Herald Tracks cases of Zika here. You can also see regular reports on the Florida government site here. The Orlando Sentinel reports that Governor Rick Scott has spoken to numerous attractions and theme parks in an effort to ensure public safety as well as quell possible fears from prospective tourists who may be choosing to spend their dollars elsewhere. That leads us back to Disney. “…Walt Disney World is surrounded by swamps and woodland areas, which aren’t habitat for the mosquitoes that carry the Zika virus”, said Kelly Deutsch, acting manager of Orange County’s mosquito control. The Aedes aegypti mosquitoes prefer living among people in urban areas. While Universal Orlando and SeaWorld are in Orlando, nothing around them is cause for concern”, Deutsch said. So should you go to Disney World? “Many people infected with Zika will have no symptoms or mild symptoms that last several days to a week. However, Zika infection during pregnancy can cause a serious birth defect called microcephaly and other severe fetal brain defects. Current research suggests that Guillain-Barre syndrome (GBS), an uncommon sickness of the nervous system, is strongly associated with Zika; however, only a small proportion of people with recent Zika virus infection get GBS. Additionally according to an article on huffingtonpost.com, there’s now a study linking the Zika virus to Guillain-Barre syndrome, which causes gradual weakness and in some cases, graducal paralysis. What do you think? Will Zika prevent you from heading to the Happiest Place on Earth? Are WDW’s prevention measures enough to help you feel protected? As for me, I know my Christmas visit is still a go, but I will definitely be aware of any buzzing mosquitoes that may be around.